97% of Personal Emergency Response Subscribers NEVER activated the service in a fall, even after they were down for at least an hour. The number of older Americans aged 65 or older will double by the year 2030 to over 70 million. Just over 1 of every 8 Americans aged 40 to 60 is both raising a child AND caring for a parent. 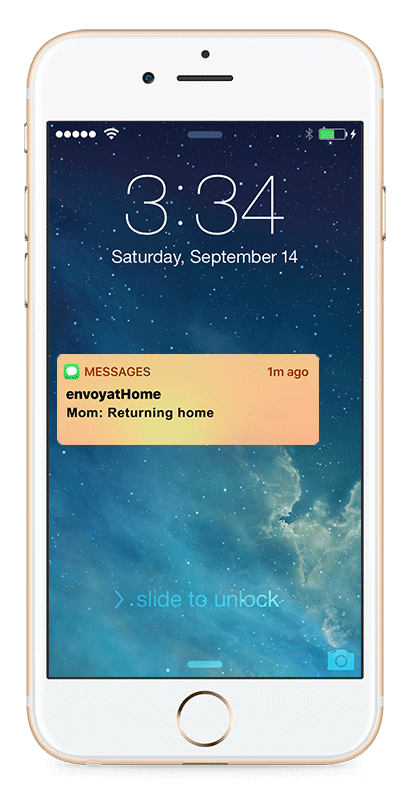 envoyatHome, an exciting new innovation based on the paradigm that allows caregivers to monitor their loved ones based on their daily activities and routine patterns of everyday life – like starting your day or retiring every evening. 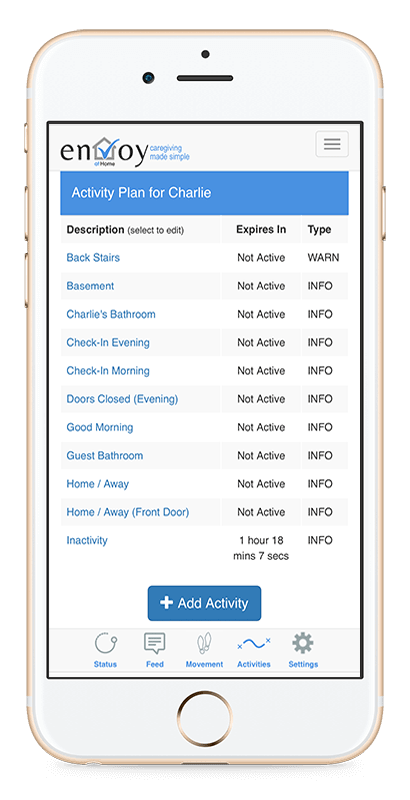 With patent pending technology, envoyatHome KNOW when activities – start and stop, are overdue, or occur at unusual times like a door that opens in the middle of the night. 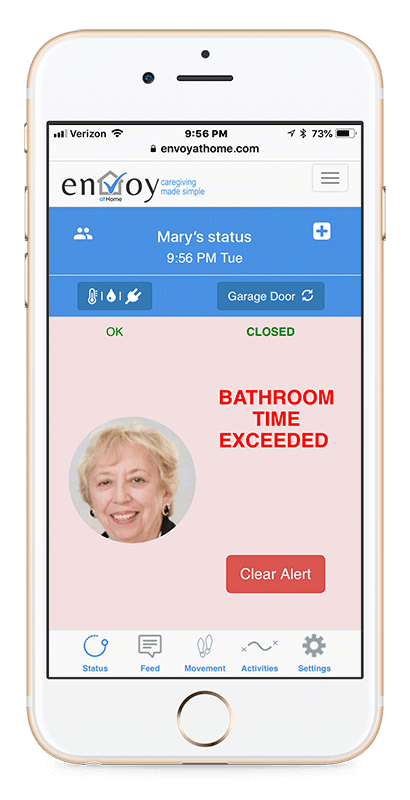 With envoyatHome, there are NO cameras, NO microphones, NO buttons to push, NO human monitoring services, and NO need for wearables compromising the vanity or privacy of the person under care. The technology is non-intrusive, inconspicuous, and uses data collected from small wireless motion sensors placed in your home. Setup is simple and included the startup package. Day / Night confusion. Wandering. Forgetfulness. Doors, drawers, closets accessed inappropriately by aides or visitors. Home too hot or cold. Water leak. Door left open or unlocked. Siblings live remotely, no problem! We only notify you on your schedule. Did we mention you are in control? 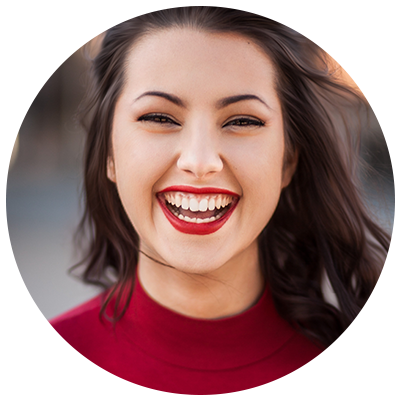 We connect you to your loved one anytime, anywhere. It's that simple!